Today, I want to share with you a really awesome homemade carpet cleaner. Odds are, you probably already have the two simple ingredients used to make this magic cleaner. Whether it’s a new stain or one that you’ve been looking at for years and can’t seem to get rid if, try this mix! 4:30 pm – I poured myself a V8 in a glass and threw away the bottle, gave my daughter one of those squeezable applesauce pouches and then sat down to pay bills. 4:45 pm – I looked up to see this… which is a million tiny dots of applesauce puree. On my living room floor. And this… which is V8 juice. She pulled out the almost empty bottle from the trash can, managed to unscrew the lid, and dump it on the carpet. 4:46 pm – I had a small stroke. 4:47 pm – I made a homemade carpet cleaner by combining 1 cup of hydrogen peroxide with a few squirts of Dawn dish soap into an empty spray bottle. 4:51 pm – I started blotting, spraying, then scrubbing the million dots and V8 juice splatter. 5:15 pm – I had a glass of wine. I felt like I earned it. 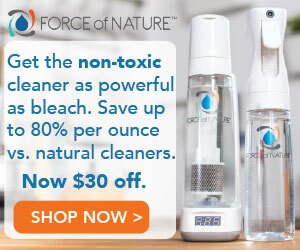 Looking for other homemade cleaners? Do you make your own homemade cleaners? How do you get out stains from your carpet? Many of you would agree that if you plan to throw a party at home, you might have to deal with the dirty stain marks of food and liquid spills on your precious carpets and upholstery. Well, I faced it last month, so I called up the local carpet cleaning professionals, and got our house looking spotless once again. Now, I know, it is easy to get my home cleaned perfectly, after spending a gala time with the friends and family.